Of all the branches of science pursued in ancient Egypt, none achieved such popularity as medicine as it was based on an integrated scientific methodology and a system of medical schools. Under this system, the first of its kind in human history, the first school of medicine dated back to the first Dynasty followed by other reputed schools such as Per Bastet in the New Kingdom and at Abydos and Sais in the late period. Physicians learnt their profession at schools called Houses of Life. They were no doubt given some practical experience, but chiefly they had to study what was already written. They used to administer their treatments in accordance with a written law composed by earlier famous physicians. Medical texts were used not only as a source of professional knowledge but also as a safeguard against possible failure. Priests were the first to practice medicine and some doctors belonged to the priesthood and others were counted among the scribes, as shown in such titles as “chief doctor and scribe of the word of God”. Many enjoyed ecclesiastical as well as lay titles. Like other professions, doctors had their own hierarchy. Besides ordinary doctors there were senior doctors, inspectors, overseers and masters of physicians and the Chief of Physicians of the South and the North, a kind of minister of health. Royal and palace doctors had special hierarchy and titles especially important if treating a Pharaoh! There was even a degree of specialization quite remarkable for the time. Each physician used to treat one disease, and no more. There were plenty of physicians everywhere. Some were eye-doctors, some dealt with the head, others with teeth or the abdomen, and some with hidden maladies. Only members of the high strata of society were allowed to learn and practice this honourable profession. Moreover, a physician had to learn the science of drugs especially botany. Ancient Egyptians held physicians in so much high esteem that they raised Imhotep, the great physician (2700 BC) after his death to a sacred status as the god of medicine. According to the ancient historian Biliny, Egyptians used to examine bodies of the dead to know the cause of death. This should not look strange for such people, traditionally accustomed, as they were, to an intense pursuit of knowledge. 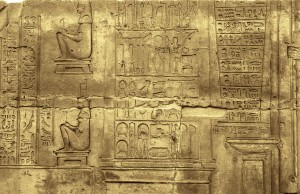 According to the American historian Breasted, an authority on ancient Egyptian history, ancient Egyptian surgeons were highly skilled as shown in inscriptions. Clean wounds were treated by stitching and adhesive bandages. Other wounds were treated by trimming wounded edges and pulling them together and treating them with honey and astringent herbs. Moreover, fractures were successfully treated with splints. They used many methods to diagnose pregnancy and to know the gender of the baby before birth. They were the first to use Arabian gum in birth control. They were the first to use a delivery stool and special attention was paid to paediatrics and the patient’s nutrition. It also appears that for some people, at least, there was a system of free medical aid. 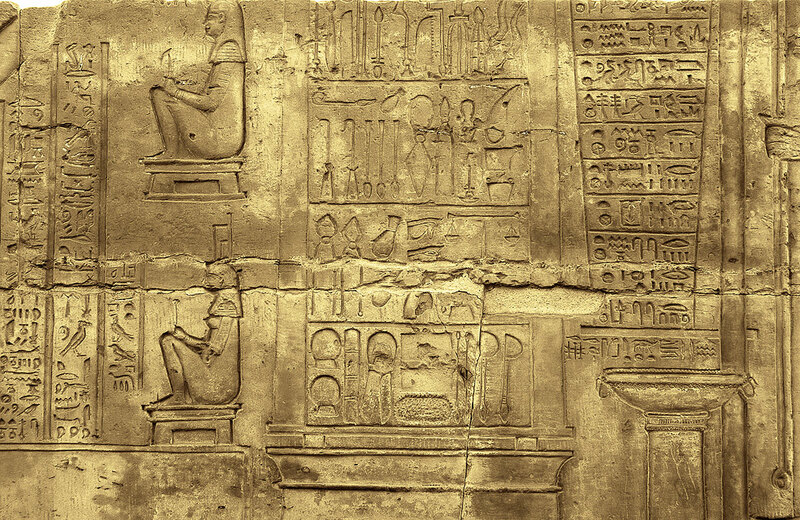 Inscriptions and hieroglyphs on the walls of the temple of Kom Ombo show medical instruments such as forceps and clamps still used to aid birthing today. Ancient Egyptian chemists equally excelled in preparing and extracting drugs from mineral, botanical and animal substances. However ancient Egyptian medicine was mainly based on herbs especially vegetables and other foods. Drugs were used in pills and ointment form and drops. Dressings and deodorant preparations were also used. This is clearly shown in the Ebers papyrus which includes names of medical herbs of great medical benefit. It is both interesting and surprising to know that the diagnosis methods currently used in the medical profession are no much different than those used by ancient Egyptian physicians several centuries ago. “The patient suffers a great epigastric pain. He feels a heavy, hot and inflamed body. He complains of being unable to tolerate his clothes and feels they do not warm him. He feels thirsty during the night. His saliva has the taste of unripe fruits. His muscles pain him as if he walked for a long distance”. The Egyptians conception of the human body, then, was as a network of interconnecting channels and was likened to the branches of the Nile and the artificial canals seen around them. Notions of physiology and disease were all focussed in the concept of the heart as the centre of the person. The heart was one’s partner: it spoke to a person in his or her solitude. It was at the same time the engine of all the bodily functions, not just for circulation and of course modern science has revealed this since. From the heart proceeded channels (metu) linking all parts of the body together. These channels, the Egyptians believed, conveyed not only the blood, but also air (reaching the heart from the nose, they thought), tears, saliva, mucus, sperm, urine, nutriment and faeces, as well as harmful substances conceived to be the agents of pain and illness. The learning and practises of medicine from the Ancient Egyptian times has passed through the generations and provided a platform for continued learning and medicinal discoveries right through to today. On all of our Egypt tours you are accompanied by a degree qualified Egyptologist guide who will teach you everything you need to know about the Ancient Egyptian Civilization.